Relax, heal, and nurture your inner child. A truly beautiful and powerful work of art, perhaps the most relaxing imagery of all. Because it is designed to reach the most vulnerable, innocent part of you, there are no challenges on this tape. It is a pure invitation to chill and be taken care of, a chance for that child within (who may have had it's share of abuse in the past) to be cuddled, honored and loved, as it deserves to be. With enough love, there is no trauma from which we cannot recover! This program was originally designed to support the healing of people with PTSD, especially those of us who have experienced emotional trauma and loss during their childhood (some say that includes all of us). Its gentle guidance. 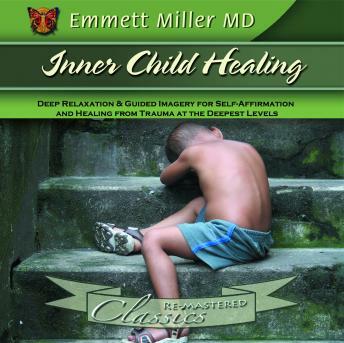 The guided imagery provided by Dr. Miller's soothing voice speaks to the child within each of us-along with the gentle music and nature sounds it creates for you, a protective cocoon within which you relax completely.